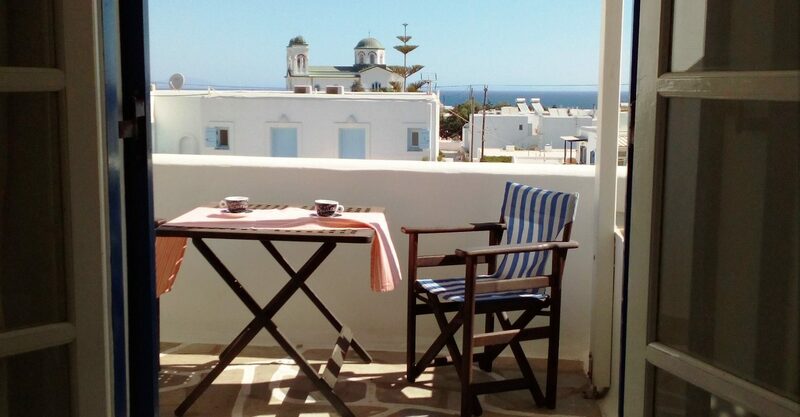 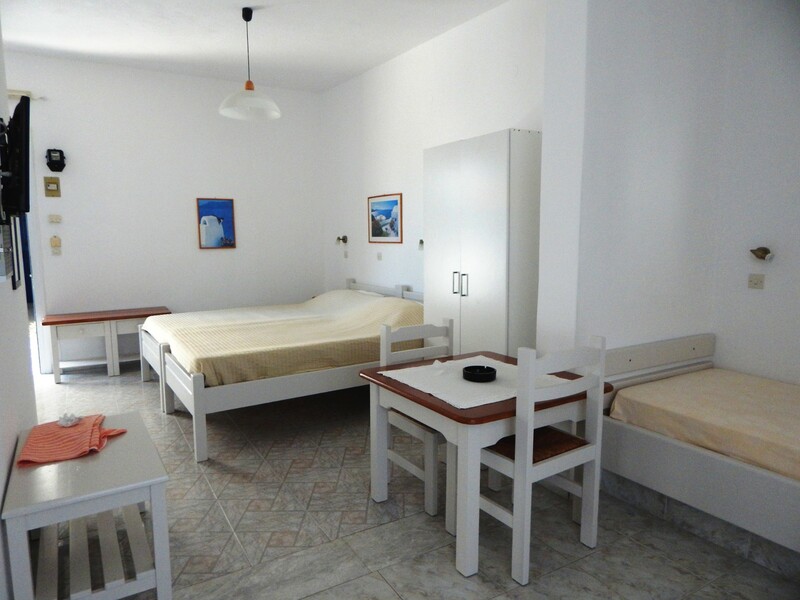 Studio for 2-4 guests set on the top floor, with town and sea views. 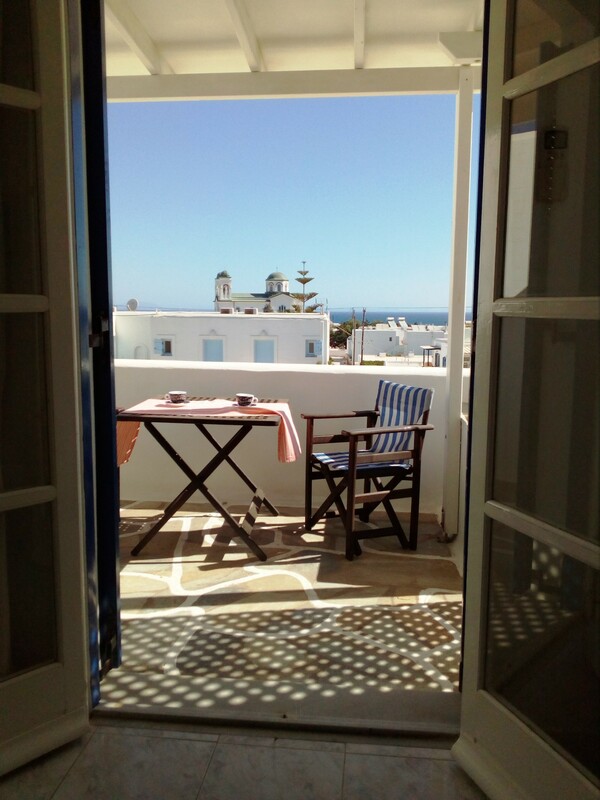 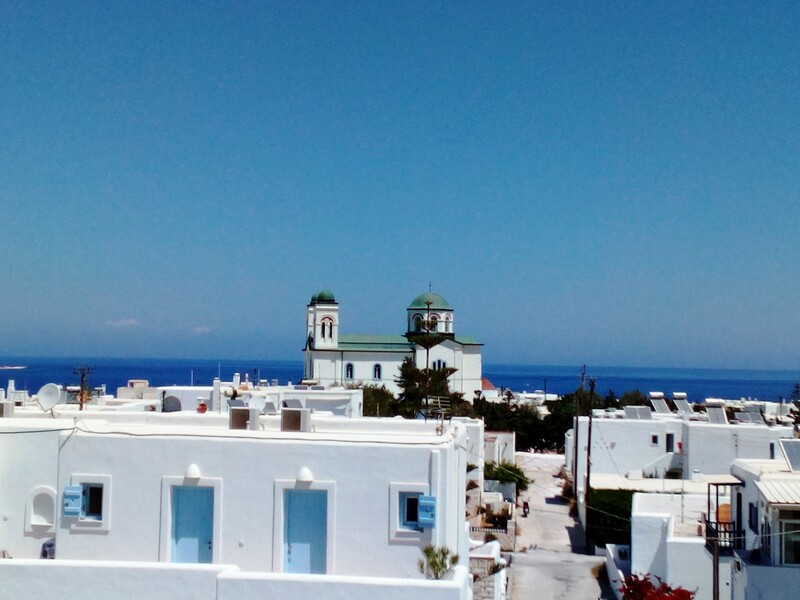 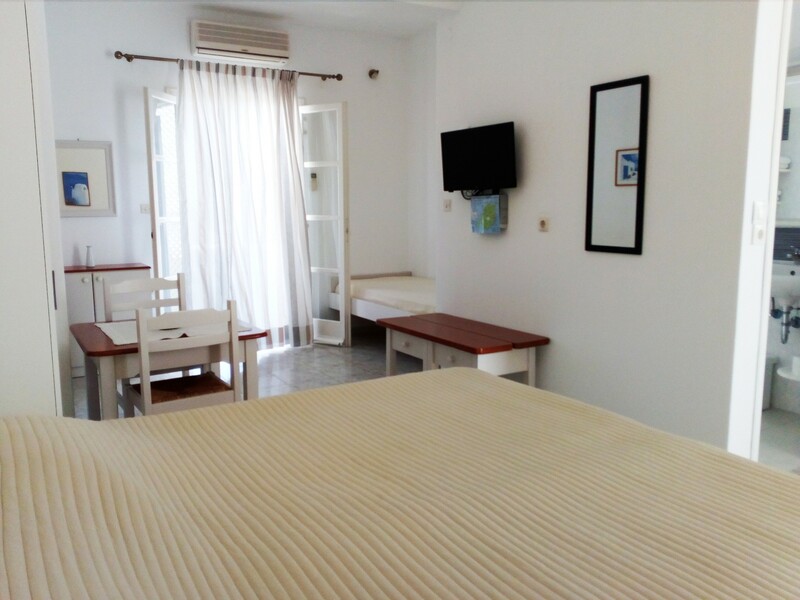 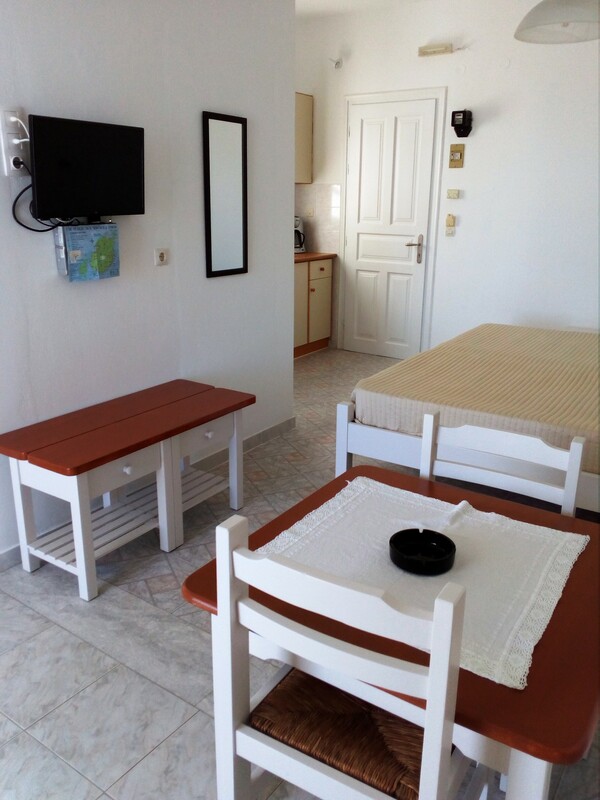 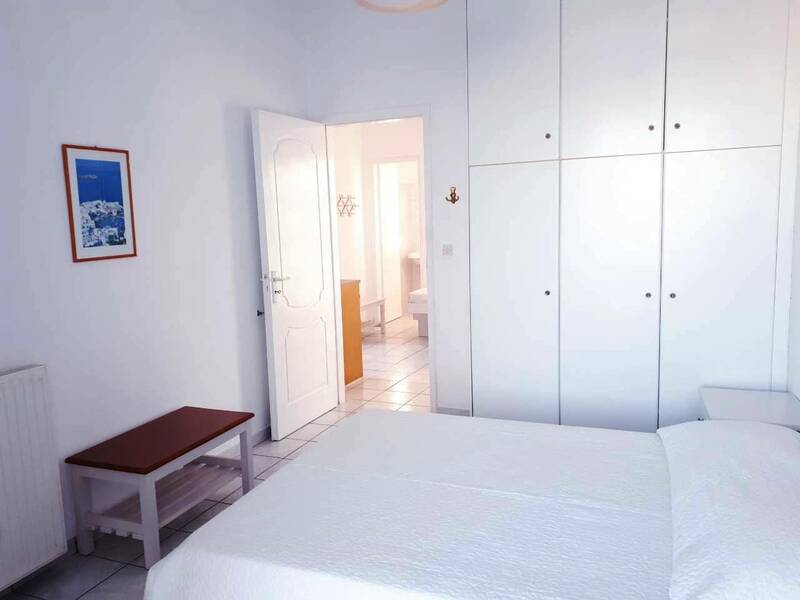 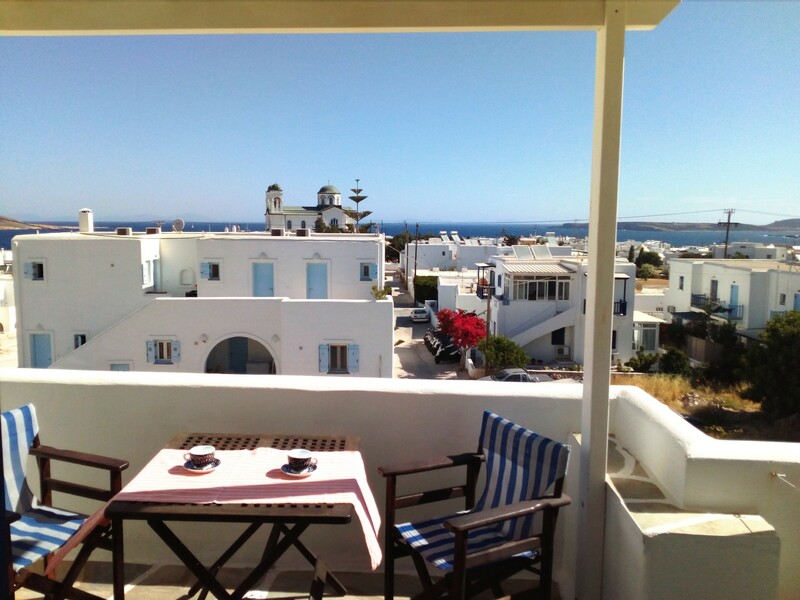 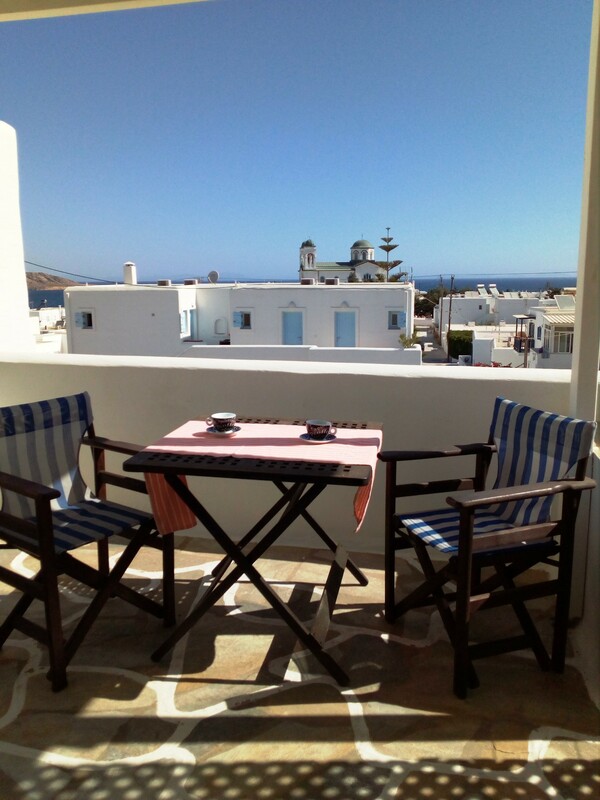 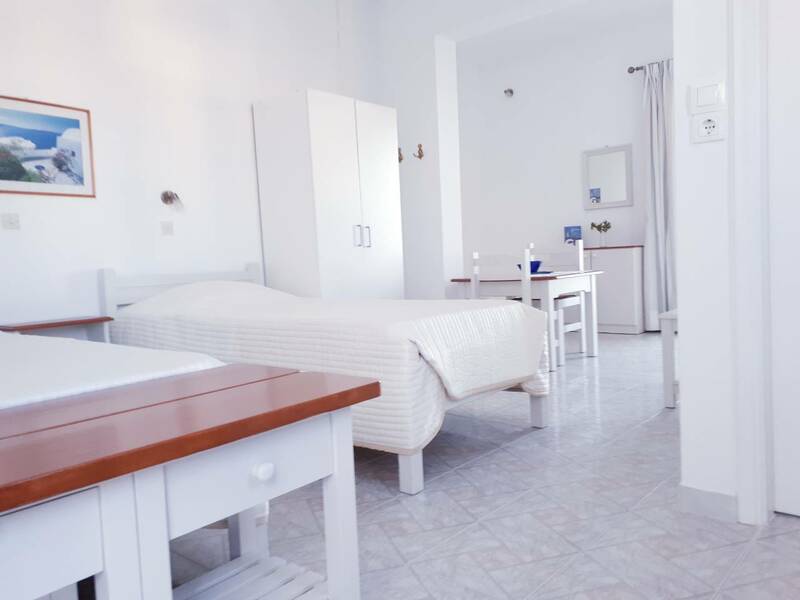 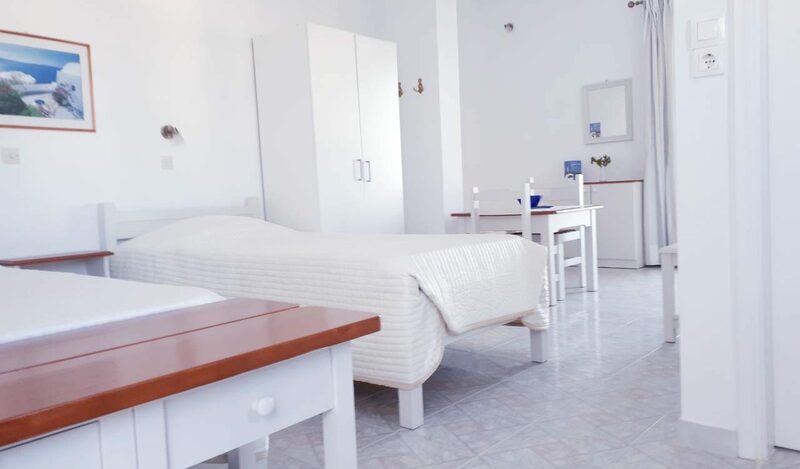 A spacious studio with living area, dining corner, a small kitchen, shower bathroom and private balcony overlooking the town and the sea. 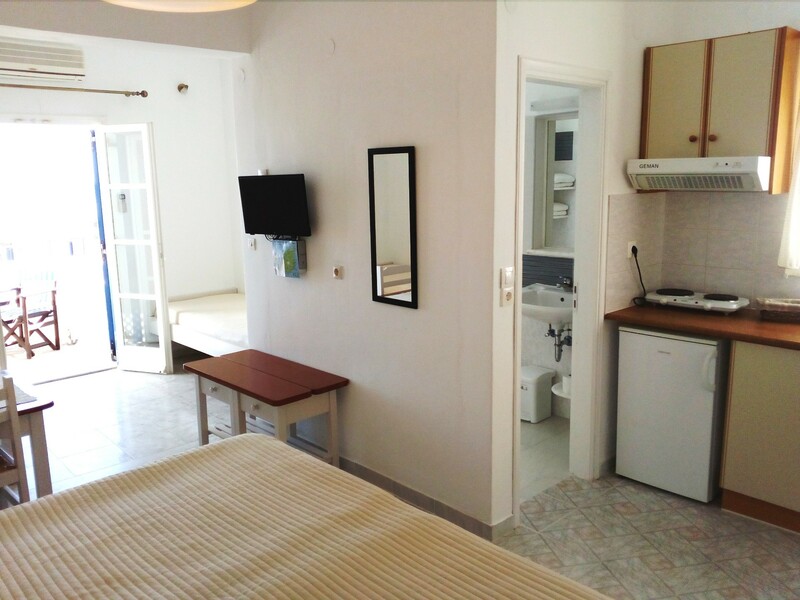 The studio has 1 double bed and 2 single beds.